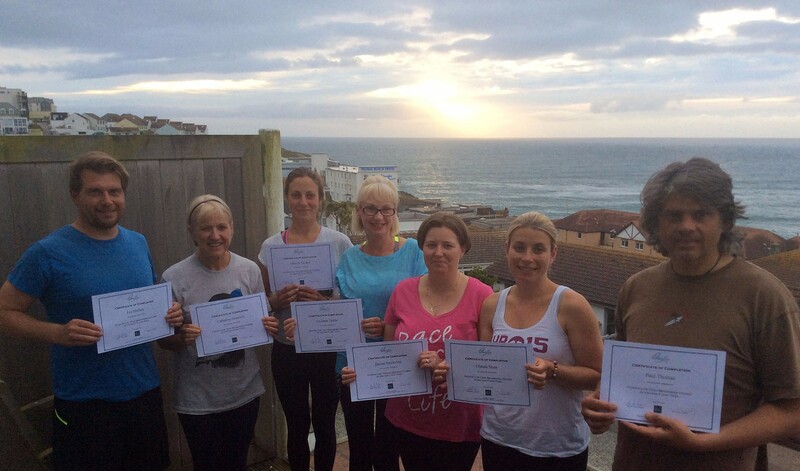 Our beginners yoga academy has been running since we launched in 2013. Since then we have taught hundreds of beginner yogis all the basics to get you confident you know what you are doing in a yoga class. PLEASE BOOK EARLY TO AVOID DISAPPOINTMENT AS THESE COURSES FILL UP FAST! Here at Oceanflow Yoga in Newquay, we believe that yoga classes for beginners should be both fun and exciting whilst we provide you with the knowledge you need to learn how to practice yoga. We ensure that your introduction to yoga is informative and that you learn safe alignment and safe entry/exit from poses. We are the only yoga studio in Cornwall offering 6 week beginners courses in Vinyasa Yoga continuously rolling throughout the year so you are never far away from the start of your introduction into yoga. We have literally taught hundreds of complete new comers to the world of yoga and let us assure you…you are NOT to stiff to do yoga! The beginners yoga courses cover all aspects of yoga and once completed you will be able to choose the classes at Oceanflow Yoga Studio which best suit your goals and ambitions for doing yoga. We offer yoga classes to calm an anxious mind, classes to energise the body, classes that focus on alignment, classes to strengthen the core and stretch the body and so on! The courses are run by Tom Harvey or “Stretch” as he is ironically known by! Stretch has a unique talent of getting the very best out of each individual. He is very alignment focused, ensuring that your yoga practice starts from firm foundations from which to build upon. His yoga classes are a lot of fun and he does a great job of getting rid of any nerves people may have about starting yoga. Yoga is about self development and taking the time out to care for yourself, not comparing yourself to other people on the mat. Oceanflow Yoga actively promotes a culture which leaves all egos at the front door and ensures everybody has a really enjoyable experience. Alternatively join Stretch for his Intro to Meditation course that runs over four weeks to explore different ways to meditate and set up a home practice. Regular meditation can bring many benefits including a calmer, more peaceful mind space, reduction of anxiety and tools to manage stress, more time in your day and a more balanced way of looking at life. Stretch will share the techniques he has learned over the years to stick to a regular routine and will look at a variety of practice methods to find one that suits you so your practice can continue at home. Suitable for all! The below video clips are examples showing short flow sequences which we will break down during the beginners yoga course and learn step by step.